Get classic simple style with this stylish pair of 9ct white gold 10mm creole earrings. These earrings are perfect to wear with everyday fashion. 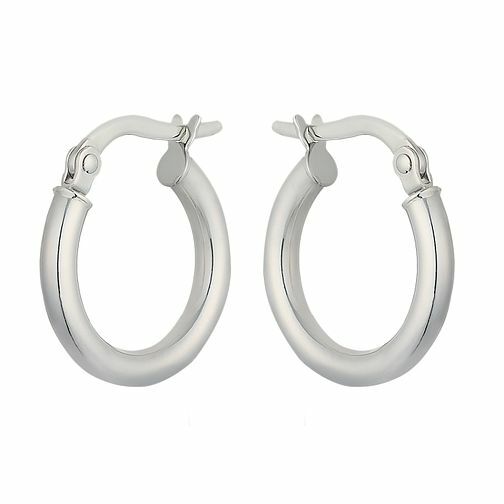 9ct white gold 10mm round creole hoop earrings is rated 5.0 out of 5 by 6. Rated 5 out of 5 by Anonymous from excellent purchase, stylish yet classic! The 10mm Creole earrings looked really expensive, classic and stylish and more importantly they were a welcomed gift to my mother. The earrings are worn constantly and my mother gets many compliments over them. Delivery was quick and I was very happy with the whole experience.